Sealing Limestone may not seem like a very large thing to do on your own, but in practice, it is much more difficult than it originally seemed. Are you trying to make sure you properly seal up your limestone and make the most out of it? If you’re ready of figure out how to take care of your stones in the best possible ways and you don’t’ know how to quite get this done, we’re ready to help you out. Call upon our team here at TSS PRO Sealant and choose from the best line of sealants that are currently out on the market. With our organic and natural solutions to help your stones stay in great shape, you’ll have quality stones for years to come. Limestone is without a doubt one of the most common stones on the planet. If you walk around Texas or any other state you will without a doubt see this often. This is something that a lot of walkways, patios, and other surfaces use to make sure they spice up their surfacing. Are you trying to figure out how to maximize your residential and commercial surfaces, and now you’ve realized that many of the contain limestone? When this is on your radar, make sure your trust in our team to get things done. We’ll supply you with the right resources and needs you’ll be expecting. Limestone is precious, and yours deserves the highest form of care and attention. Thankfully, you’ll be able to equip the TSS PRO Sealants and get the most possible out of what you’re using. Making sure you pay attention to your limestone is absolutely essential. If you’re currently using limestone that is looking rough and in worse condition by the day, you may be worried about it. Are you trying to figure out how your backyard patio is going to look much better in no time? Perhaps you’ve got some commercial surfaces in your business that are made you of limestone and you’re worried out of your ind. When these things occur you have every right to be concerned, but our team is here to help you. Something else to keep in mind before jumping right into the cleansing and hiring process is making sure you have quality sealants for your stones. When people see that it’s time to restore their stone sealants, they’re quick to rush and buy the first thing they see on a shelf. While this is something that some individuals choose to employ in their lives, it’s not the recommended option by professionals. You might be trying to figure out how you’re going to be able to find a natural, organic, and overall safe way to keep our stones sealed for a long time? If so, Texas has what you need, and the TSS PRO Sealant is on its way to your direction. Trust in our team and our long line of sealants. We have a list or natural, organic, and effective sealants that will get the job done for your residential and commercial surfaces. Limestone is a relatively porous stone, and depending on where you’re using it, you may have some problems keeping it in great condition. Are you dealing with some type of outside flooring and its many scratches and stains? Perhaps you’ve got a pool deck that’s made out of limestone and it’s beginning to show some signs of wear. When these things occur, you can count on our team to provide you with help. Sealing Limestone doesn’t have to be something that’s incredibly expensive and inaccessible. Are you trying to figure out how you’re able to seal your limestone and get everything fixed in time for your next residential get together? Perhaps you’re trying to fix up your commercial business for its grand opening, but you don’t have any typed or stone sealant. 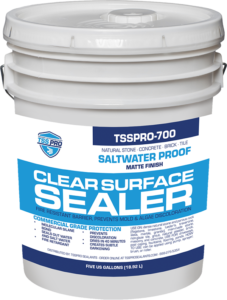 Make sure you’re able to remain under budget by choosing the TSS PRO Sealant for your specific needs. Our competitively priced rates are perfect for the typical Texan, American, or anyone else who needs quality sealants. We understand that our customers don’t want to cut corners on quality,a and we always choose to retain this for the foreseeable future. Are you ready to start making sure you have access to some of the best, natural, and durable sealants on the market right now? If you’re still wondering, you’ll be glad to know hatt the TSSPRO Sealant is able to do this and much more. If you’re looking for an organic and natural sealant that can help you prevent further mold, mildew, and algae, let us know. Our list of products are here to help you understand how to seal your limestone effectively. Get the most out of your stones by using the TSS PRO Sealtns today. We care about properly and choose from the best line of sealants that are currently out on the market. With our organic and natural solutions to help your stones stay in great shape, you’ll have quality stones for years to come for your setups, and you’ll be able to find the right resources as long as you continue to trust in TSS PRO Sealants. We will help you seal your limestone while providing timely pricing and effective products. From matte finish to high gloss, you’ll be able to experience a new level of personalization of your stones by using our sealants. Making sure you have quality product that help you with your Sealing Limestone process is without a doubt important. However it’s something that will be much easier if you call in our team. We’re ready to work for you, and we’ll make sure you’re able to make the most out of what’s going on with your limestone sealing needs. For more information, visit our website and check out the products that fit your necessities best. 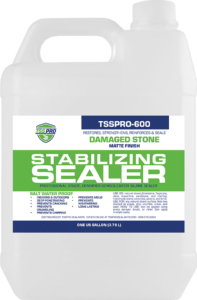 The TSS PRO Sealant will be there when you need it the most, and you’ll always want it on your side when you’re ready to re-seal your stones.